Founded in 1954, Ibeling Insurance Services is a leader in providing quality protection for hundreds of individuals, families and businesses throughout the Midwest. Providing superior customer service and low rates along with our ability to understand our customer’s coverage needs drives the success of our agency. Our goal is to educate and service the Ackley, Iowa community and throughout the state of Iowa. Through our independence, we strive to educate the community on the best options for their insurance needs. We can provide an assessment of your insurance needs with a choice of which package fits you best. We are dedicated to providing our customers in Iowa with the best coverage at competitive rates. Just make one call to our agency, and we can shop your coverage through many top rated companies. With our professional staff, we can be your liaison with the insurance carrier in the event of a claim. We work for you, not the insurance company. We want you to have a positive overall experience with Ibeling Insurance Services. Our one on one service approach is our #1 goal for all our insurance clients. Give us a call at 641-847-3555 or contact us through one of our quote forms, and we'll be happy to answer any of your insurance questions. Jeff has 20+ years of insurance experience. 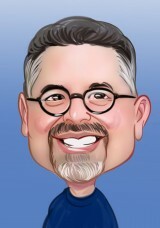 Spend a few minutes visiting with Jeff and you will realize he was born to be in this business. Jeff is passionate about getting the right coverage for your needs. Joan loves the customer care part of insurance. 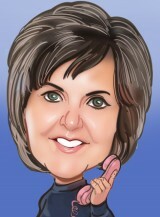 Working with Joan you get a blend of mom, EMT and licensed insurance agent. Sometimes it takes that combination to get the job done. Joan handles the accounting and marketing for us. "Betsy is great! ", is a line we frequently hear from her clients and we totally agree! Betsy grew up on a family farm near New Providence and she is Mom to two busy boys. Betsy a perfect fit for your insurance needs, especially small business or agricultural risks. Jenifer loves saving our customers money. As a busy mother of five, Jenifer understands the value of a dollar. 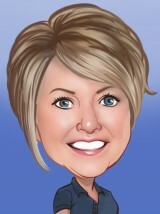 Let her review your policy today, Jenifer will try to keep a little more cash in your pocket. 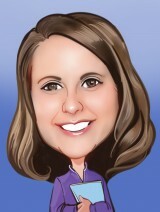 Krista is on the front line of Ibeling Insurance Services, staffing the front desk and answering the phones. After 30 years of teaching she was looking for a new career. We think she is a great fit for our crew. 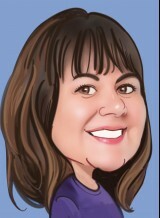 Call Krista with billing questions or to make any changes to your policy. Jerry Fisher is working in Ackley! We are thrilled to have him on our team. Jerry worked as a captive agent for 10 years. He loves the options available as an independent agent. 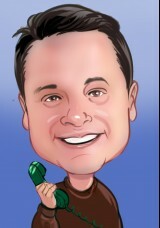 Give Jerry a call today for a competitive quote on your home and auto package. 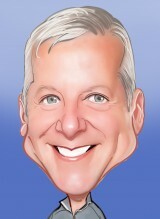 Joe’s combination of 10 years of insurance and 7 years of advertising make him a great fit for our team. Joe shares our “client first” philosophy. We know that insurance can be confusing. We strive to make insuring with us as easy as possible while providing you with coverage that matches your needs.